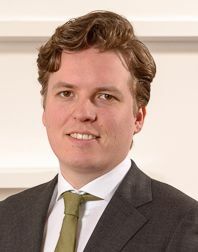 Stijn de Zwart specialises in European and Dutch liability, insurance and transport law. He acts as an advisory and litigating lawyer for businesses and the big players in the insurance industry. One of his strong points is his ability to work well under pressure. He does not shy away from a legal fight but he will always focus on the client’s interests. Being a lawyer, he wants to add value. He likes to achieve a measurable result by following a professional and strategic route. In a nut shell, he helps to move the case forward. Stijn graduated with distinction from VU University Amsterdam in 2011. He also studied at the University of Leeds and attended the Law Firm School, an Elite Law Firm post-graduation education. Stijn regularly writes articles for national and international specialist journals.